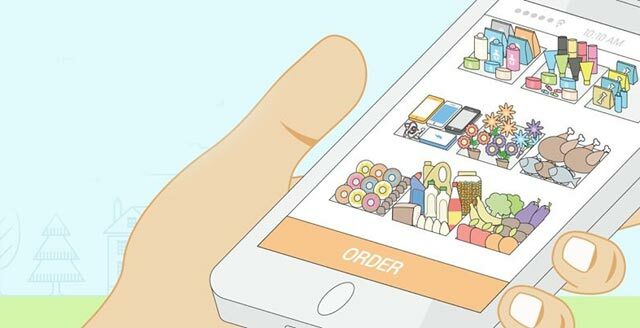 Hyper-local grocery and fresh food delivery platform Grofers has expanded its talent pool by acqui-hiring Bangalore-based food delivery app SpoonJoy and B2B logistics startup Townrush. The development was first reported by The Times of India, quoting Albinder Dhindsa, co-founder and CEO of Grofers. Financial details of the transactions were not disclosed. Dhindsa did not respond to a Techcircle.in query for more details. E-mail queries to executives at SpoonJoy and Townrush were not answered till the time of writing this report. Acqui-hire refers to the buyout of a company primarily for the skills and expertise of its staff, rather than for its products or services. "While at SpoonJoy, we were able to on-board the team entirely, we got to look at Townrush and pick some of the talent there," Dhindsa told the newspaper. "We are not looking to get into the space each of these companies were in. However, their experience in building and running early-stage tech companies allows us to get hold of a large talent pool in one go," he added. Emvito Technologies Pvt Ltd, which operates SpoonJoy, had raised $1 million from SAIF Partners in May 2015. After failing to raise more money, the company had decided to shut down operations in Delhi and parts of Bangalore. The food-tech space is showing signs of distress as a few funded startups have either shut shop or are downsizing operations. Several startups managed to raise initial rounds of funding but failed to get additional capital to keep the lights on. TapCibo Online Solutions Pvt Ltd, which operated under the brand Dazo, closed operations earlier this month. Mumbai-based TinyOwl, which offers a location-based mobile app for ordering food, recently shed jobs. Two weeks ago, restaurant listing and services company Zomato said it was laying off around 300 employees worldwide, or nearly 10 per cent of its workforce. Banalore-based Townrush connects customers and merchants with logistic partners. It had raised an undisclosed amount in seed funding from Lightspeed Venture Partners in July. The hyperlocal B2B logistics startup charges merchants for delivery within 30 minutes. During the last funding round, the company claimed to complete 500 orders a day within Bangalore. Townrush was co-founded by former Flipkart employees Prakash and Ashutosh Banerjee along with Tushar Bisht, who worked as a software engineer with Facebook. The two acqui-hires come at an interesting juncture for Grofers, which had raised $35 million (Rs 218 crore) more from existing investors Tiger Global Management and Sequoia Capital in August. Grofers had paused operations in Delhi and parts of the national capital region last week in order to mitigate last-mile delivery issues. It restored operations a day later. Founded by Saurabh Kumar and Dhindsa, Grofers allows users to order products ranging from grocery to pet supplies and electronic products online. It enables delivery within 90 minutes. Grofers, which operates on a marketplace model, fulfills about 30,000 orders daily. Grofers competes with other grocery marketplaces such as PepperTap and ZopNow. Inventory-led firms such as BigBasket, LocalBanya and EkStop, a Mumbai-based e-grocery which was acquired by Godrej Nature's Basket, can also be counted as Grofers competition. Emvito Technologies Pvt. Ltd. Grofers India Pvt. Ltd. Whitekoala Technology Pvt. Ltd.